What is a Gong Bath Meditation? When we want to clean our bodies, we use soap and water. A gong bath uses sound and vibration to cleanse us on the inside - emotionally and physiologically. There is no water involved, nor clothes removed. Beneficial Sound Gong Bath Meditations start with a brief explanation on the benefits of the gong, followed by a short breath exercise to promote the flow of energy and to create a receptive mind-body state for deep relaxation and meditation. Participants then get comfortable either lying down (preferred) or a similar comfortable position. The gongs are then played for 30 to 60 minutes to cleanse the subconscious and awaken the practitioner to a transcendent state of awareness. During the gong bath, multiple gongs and mallets are used to bring out the full spectrum of beneficial vibrations and frequencies. Just as a body massage works out tight and knotted muscles, the "sonic massage" of a gong bath works out emotional issues that we need to release in order to move forward in life. Once the gong playing is complete, there are a few minutes of silence. This is a time of deep relaxation and expansion, where transformation and healing occur. This quiet time allows the listeners to receive the information that is most beneficial to them. We conclude with sweets and community, as questions and comments are fielded from the group. What are the benefits of Gong Meditation? A Gong Bath Meditation is a unique and highly personal experience. The gong speaks to each one of us individually, meeting us wherever we are on our life journey. During the meditation, all levels of your Being - physical, energetic, emotional, mental and spiritual - will benefit from the deep, healing resonance of the gongs. For most people, a gong bath is a deeply relaxing and peaceful experience. The gong works to have a clearing effect on emotional issues, breaking up limiting and negative thought patterns, and as a result, is an excellent therapy option for stress related issues, such as depression and anxiety. Others go more deeply and may have profound healing experiences. Gong Meditation is the practice of "re-tuning" the human being back to ideal frequencies via a universal physical and biological principle known as Sonic Entrainment. 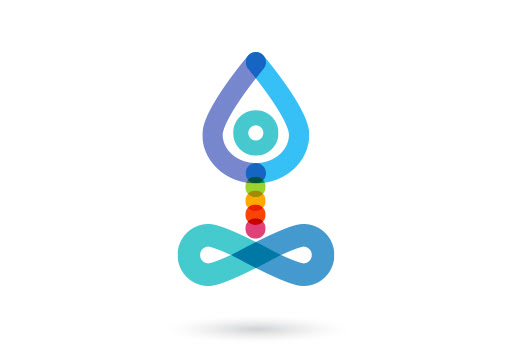 The human body knows what feels harmonious and tunes into what is needed during the meditation, and via sonic entrainment brings us back into harmonic balance, the peak of physical and emotional well-being. The vast range of rich overtones produced by the gong deeply bathes every cell of the body - muscles, bones, organs, nervous system, etc. - and research* has shown that the sound can progressively destabilize the structure of cancer cells, ultimately leading to their explosion. *The Influence of Sound on Human Cells by Fabien Maman (Series XII - Cancer Cells with Gong). Gong Bath Meditation has been shown to have myriad additional physical and emotional benefits. These include: improving flexibility and coordination, increasing endorphin levels, boosting immune and glandular functioning, reducing tension and regulating stress-related hormones, and even improving digestion.